440 NW Business Park Lane. Ryan in our Olathe location is AMAZING! Very informative and always assist with out needs. Jeff in our Platte City location I have worked with him for almost 2 years now and he is the main reason for me advocating this company. I always see relays and improvement. He is also very friendly with our residents and pets. I couldn’t ask for better technicians. Our technician Jeff always gives us a great service. He keeps us updated on his arrival time and our schedule. Our Tech, Ryan is very good at his job. Very knowledgeable in his field of service and the food service regulations. Great guy to work with! Brad is very professional and friendly. He does his job well. McCloud technician, Ryan Salazar was very professional in performing in his duties today. Ryan arrived within a few minutes of his planned ETA we discussed earlier in the day. Ryan's time management is greatly appreciated by this homeowner, for it helps me plans the remainder of day for other activities. Kudo's to Ryan for job will done. I love the fact that inspection is done after service, that is professional. I cannot give a good rating to you because your service isn't even on our radar. My Maintenance Technicinan has gone above and beyond trying to contact you folks to NO AVAIL. Service has not been done at all this YEAR. We have chosen a better company that will work with us during our needs. So going forward NEVER contact SEFAR Kansas City Office again. Called for smell of decaying something. They came out twice couldn't find anything yet I get charged $125. I complained as nothing was found received $50 credit. Not happy still smells in our office. No help at all! Been using Mc Cloud for the last 7 or 8 years. The tech's show up monthly all have been professional and courteous. Seem to care about any bug issues that have might have been reported since the last visit. 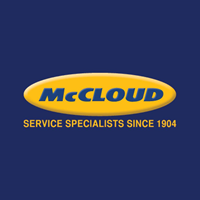 I've been with the company serviced by McCloud for 16 years. They have consistently done a great job for us on all fronts. We deal with FDA and other government agencies, their processes are always audit ready. Our new manager is Paige Guffey. We have been using them for about 10 years. I am not sure just how long we have used McCloud but it's been a long time. We use them for pest control. They are very prompt & courteous and stay with a problem until it is solved.